Nerissa Freeman, Rokudan (6th degree black belt), is the founder and school head of Wasenshi Kan Martial & Healing Arts. In 1990, she began studying Danzan Ryu Jujutsu at Makoto Kai in Woodland, California under Cynthia Frueh Sensei. She received her shodan (1st degree black belt) in 1995 and then began expanding her studies of the martial arts. She received a sandan in Kodokan Judo under Coach Willy Cahill and studied pentjak silat ratu adil under Gabriel Torres, Sr., a direct student of Rudy Ter Linden. Her jujutsu training then continued at Makoto Kai Dojo and she became co-school head in early 2005. She continued in this role until founding Wasenshi Kan in October, 2012. She is always looking to advance her training, and studied muay thai under Ajarn Andy Khensamphaph for five years. She also graduated from Okugi® 2013 under Professor Tony Janovich with her kaidensho and Danzan Ryu Jujutsu instructor title of kyoshi. Currently, she studies Toyama Ryu Battodo under Mike Esmailzadeh Sensei, school head of the Suigetsukan. Her training has also included the healing arts, and she is a Licensed Physical Therapist as well as a Certified Massage Therapist in the State of California. Her massage therapy training began shortly after she started practicing jujutsu and has focused on Danzan Ryu Restorative Therapy and Seifukujitsu. She is also a graduate of the Basic Level of the Original Okazaki Restoration Massage under Keith Okazaki Sensei, grandson of Master Henry S. Okazaki. The emphasis on personal growth, service to others and the community, as well as the many lifelong friendships she has made are what have kept Freeman Sensei with the AJJF, Danzan Ryu, and the martial and healing arts. She is guided by her current sensei, Professor Sheryl Hager, school head of Redding Jujitsu Academy. Dianna McKinzie, Nidan (2nd degree black belt) began studying in DZR in 1987. After a temporary hiatus, McKinzie Sensei resumed training and progressed through the ranks. She earned her nidan in 2015. She is co-school head of Hale O Lima Kokua in Newcastle, CA and trains under the tutelage of Professor Sheryl Hager. However, she calls Freeman Sensei one of her instructors and has committed herself to teaching and training at Wasenshi Kan. McKinzie Sensei is the lead instructor for the juniors program at Wasenshi Kan.
Rodrigo Garcia, Nidan (2nd degree black belt) began practicing Danzan Ryu Jujitsu in 2007. 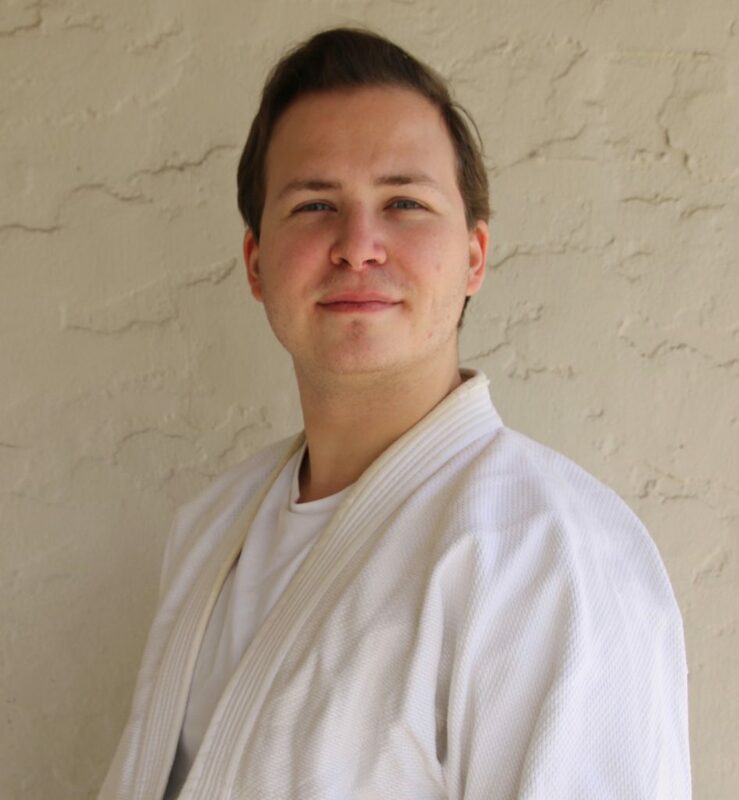 He earned his nidan in 2018 and has devoted himself to a lifetime of study of DZR. In addition, he is a P.O.S.T. (Peace Officer Standard Training) certified weaponless self defense instructor through the Sacramento Regional Public Safety Center and has been a Yolo County juvenile corrections officer since 2002. He has also been studying Brazilian Jiu Jitsu as part of his comprehensive martial arts training. 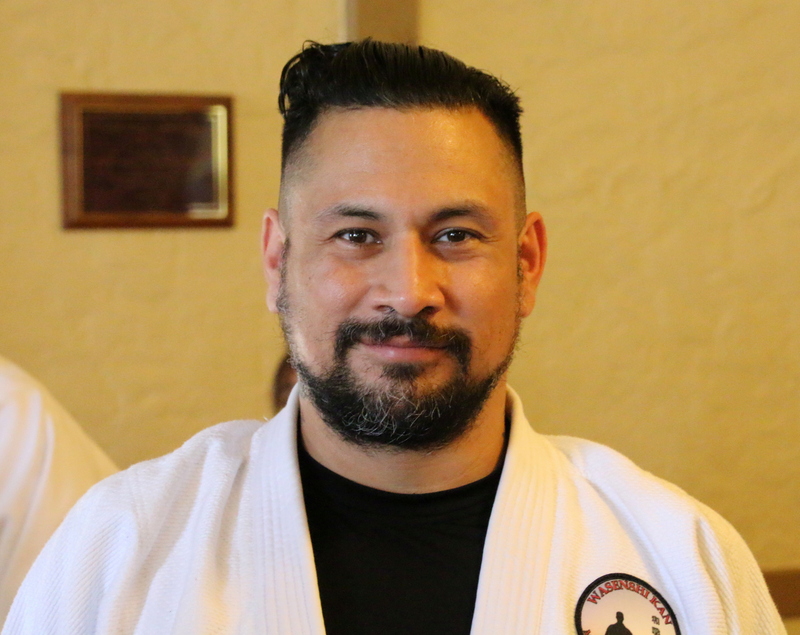 Mike McKinzie, Shodan (1st degree black belt) began training in Danzan Ryu Jujitsu in 1998. McKinzie Sensei is co-school head of Hale O Lima Kokua in Newcastle, CA and trains under the guidance of Professor Sheryl Hager. However, Freeman Sensei is also one of his instructors, and through his contributions on and off the mat, has dedicated himself to the success of Wasenshi Kan! Joshua Harrelson, Shodan (1st degree black belt) began training in Danzan Ryu Jujitsu with Delina Fuchs Sensei of the Chico Kodenkan. In 2008, he moved to Davis, CA and continued his jujitsu studies at Makoto Kai Dojo in Woodland, CA. He eventually transferred to Wasenshi Kan when Freeman Sensei opened her dojo and earned his shodan in Danzan Ryu in 2017. In addition to his jujutsu training, he also studies hojojutsu under Dara Masi Shihan. Harrelson Sensei is a health care practitioner by trade. He is a licensed acupuncturist and has completed Advanced Training in Danzan Ryu Restorative Therapy. Joe Bendorf, Nidan (2nd degree black belt) began training in Danzan Ryu Jujitsu in 1999 in the Makoto Kai children’s program. He was Freeman Sensei's first blackbelt student, earning his shodan in 2008 and his nidan in 2011. He has also studied pentjak silat, tai chi, and has spent time studying and competing in judo. Bendorf Sensei has also studied the healing arts, learning the techniques of Danzan Ryu Restorative Therapy. He is co-school head of Makoto Kai Dojo in Woodland, CA.